Dr. Louis Abukhalaf had just turned 17 when he traveled from his home in Jerusalem to attend Loyola University in Chicago. While at Loyola, Abukhalaf met his future wife, Dr. Brittany Lane. They both went on to get doctorate degrees in dentistry from Marquette University. 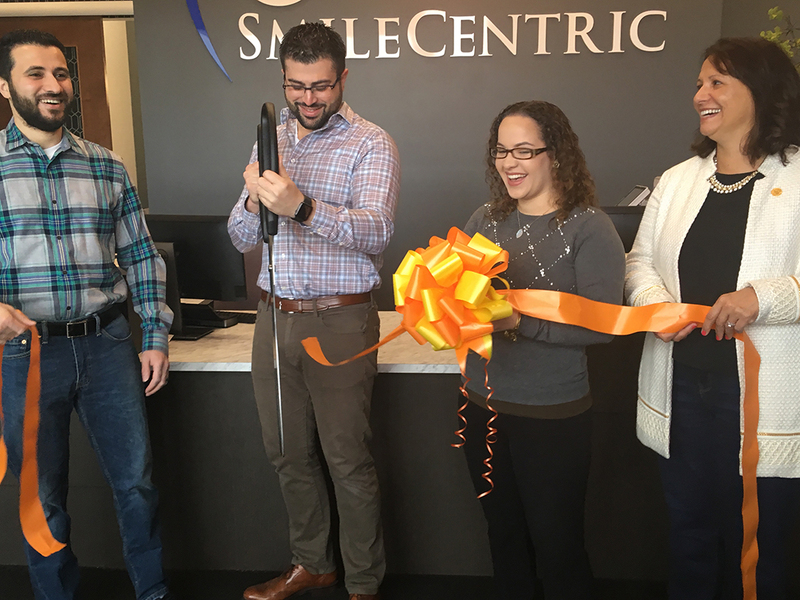 Abukhalaf, who lives in Fishers, opened his own practice, SmileCentric, 14560 River Rd., Suite 105, in Carmel, five months ago. It had its official ribbon-cutting Jan. 25. Abukhalaf, 31, has been practicing for 6 1/2 years, continuing to work at Gentle Dentist at the Edgewood location on the south side of Indianapolis. “I’m still working there part-time until I build this office,” Abukhalaf said. Patients call him Dr. Louis, and he tries to put them at ease. The office is open three days a week and has weekend hours per request. He said it was the right time to start his own practice. Lane is a periodontist at her practice, Indy East Periodontics in Indianapolis. Lane, originally from Muncie, had her residency in Indianapolis, and the couple decided to make central Indiana their home. Abukhalaf and Lane have a 9-month-old son, Nabeel. “I try to get back to Jerusalem every year, but it’s hard when you have two businesses and a baby,” Abukhalaf said.